Every community has a humble beginning. 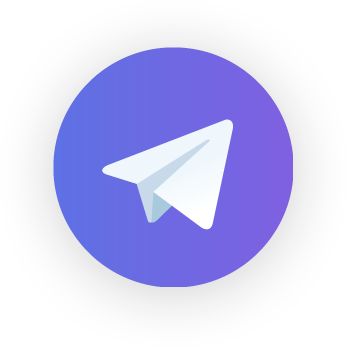 Expecting to create an instantly popular Telegram group is unrealistic. Just look at Reddit. As one of the most-visited sites in the world, Reddit has over 330 million active users and 14 billion monthly page views. However, this wasn’t always the case. In 2005, Reddit’s founding team needed to draw and retain site visitors. Their solution? Create an army of fake accounts that would present the illusion of user engagement. However questionable this practice may be, it benefits from the “First Follower Theory.” In premise, a single follower is the only difference between a leader and a loner. The theory also states that the greater a following becomes, the greater the group engagement – which leads to more followers. What’s the takeaway? To grow your Telegram, kick-start a conversation. As people gather to discuss your crypto project, the goal is to maintain this meaningful dialogue. If you introduce a stream of valuable content into chat, you will attract, engage, and retain your membership. The more effectively you foster this exchange of ideas, the better your channel experience will be for members and the more quickly you’ll grow. To the doubtful newcomer, a thriving Telegram community is a signpost to a worthy investment. For these “window shoppers,” a quick glance at your chat history is enough to determine whether to stay or unsubscribe. The best way to impress new members and secure their interest is to showcase a stream of quality engagement. Commit to nonstop engagement: Ideally, three to four team members should be active in chat at all times in all critical time zones. At minimum, someone should be posting and responding to group members 24/7. Send welcome messages: New members will appreciate being recognized upon their arrival. Like onboarding, a greeting will help users feel at home and get acquainted with your team. Engage with polls and surveys: Gathering feedback serves the dual purpose of encouraging engagement and gauging member interests. Use polls and surveys to collect data and incite discussion whenever conversation is at a lull. Minimize bad actors: A steady pulse of activity is essential to an engaged community, but only from valued members. Since 22% of consumers report they would leave a brand after a creepy experience, be vigilant in minimizing any trolling or spam in your feed. The best crypto communities are the embodiment of a unique idea. If group members feel personally invested in the project vision, participation is a given. Done right, the byproduct of these meaningful interactions is a company culture with a self-perpetuating dialogue. Use your engagement strategy to build a community. Consider each interaction as a chance to reinforce the connection between you and your audience. Share valuable content, inside jokes, and be genuine with your members. This will generate trust and stroke further conversation. Here are five ways to instill a sense of culture in your Telegram group. Meme competitions: Internet culture loves a good meme. Crowdsourcing a meme competition is a fun way to drum up branded chitchat, plus increase the virality of your channel’s content. Slogan competitions: Akin to meme competitions, slogan competitions give members an opportunity to recognize one another for their creativity. This exchange of one liners is a humorous way to increase the goodwill and fellowship of your group. Say good morning and good evening: Pleasantries are the fabric of civilized discourse. Treat your Telegram community like friends, acknowledge them as such, and they’ll respond in kind. Incentivize contributions: Members will happily chime in if you’re willing to pay. If you have your own crypto, create a Telegram tipbot. If you type “/sendtip @username <amount>” into the bot, it will tip the user for their talking points. Chat one-to-one: When a team member reaches out to a group member, that audience members feel important and more inclined to engage. If your team reaches out to numerous people every day, you’ll notice these members to be increasingly vocal. Though organic engagement is key, the role of community manager is often to nurture a dialogue. Usually, this means distributing a key piece of relevant content. For example, you could share an article from an influencer and prompt a reply, or weigh in on a current event that relates to cryptocurrency. Ask questions: One-sided conversations are boring and people would rather be heard than listen. When sharing content and updates, end with a thoughtful question that encourages discourse. Request feedback: Soliciting feedback shows your audience you value their opinion. It’s also an opportunity to learn about what your group wants. You’ll drive participation and focus your project by keeping current with user sentiments. Create multiple communities: Niche communities are more valuable to their respective user bases. While a universal group may seem tempting, developers and investors want different types of information. At scale, creating discrete communities allows you to better disseminate content and generate rewarding engagement within each audience segment. Appoint ambassadors: As community moderator, you’ll notice some people are more engaged than others. You can magnify the impact of these individuals by promoting them to the role of community ambassador. Like mini-influencers, ambassadors help to boost involvement from within, acting as conversation-starters and inclusive voices. Ambassadors are the pillars of your community, so tap them to rally your audience, distribute key content, or solicit referrals from members. Driving community engagement requires an always-on approach. The community manager should encourage members from the very start, welcoming them into the fold and showing them around. A steady stream of relevant content is mainstay of any Telegram group, as is organic dialogue around these ideas. As community members interact around these shared values, your community culture will begin to form. From here, you’ll be on your way to creating a blockchain project that stands out among the competition.